Back Pain – What Costly Mistakes Will You Make When Trying To End Back Pain Successfully? 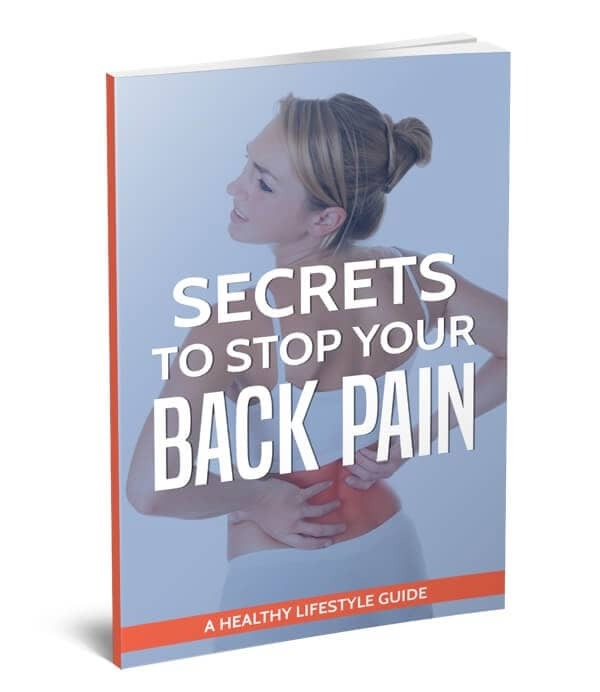 Learn ways to Stop Your Back Pain… even if you’ve suffered for months or years and your Doctor told you nothing could be done to help! Are you worried about back pain that isn’t going away on its own, no matter how much “rest” you’ve been told to do? Are you tired of doing ‘stretches’, or other exercises for your back that just don’t seem to work? Are you frustrated that ‘physical therapy’, ‘chiropractic’, or acupuncture, hasn’t worked, and your pain seems to be getting worse? Does it concern you that you’re gaining weight? Or unable to get in shape because exercising hurts? Are you having trouble keeping up with friends and family, and missing out on your favorite activities because of pain? Then I assure you, you’ve come to the right place. The number of people suffering from back problems every day is skyrocketing at a very alarming rate. At PEAK Physical Therapy & Sports Rehabilitation, we specialize in helping people heal their backs naturally, and return to their normal, active lifestyles without pills and surgery. We understand it can be difficult to know exactly what you should do when you’ve got a back injury. It can be overwhelming with the amount of options that are out there. It can be hard to decide to seek care, because you might be afraid of what may happen if you make the wrong decision. Many people (doctors included) make the CRITICAL MISTAKE of only treating the “symptom” of pain, and not taking the necessary time, or energy to understand the true, “primary causes” of the problem. Choosing the right provider, and getting the absolute best ‘non-invasive treatment’ could mean the difference between you getting back to your normal active lifestyle, or a life on painkillers and needing a potentially life-altering surgery. Or goal at PEAK Physical Therapy & Sports Rehabilitation is not only to get rid of your pain, but also heal your body and give you a PERMANENT fix to your problems. Which is why here, at PEAK Physical Therapy & Sports Rehabilitation, we have created a very comprehensive, 5-step method to not only get rid of your pain, but also fix it for good. Step 1: Getting to Know You – Meet YOU where You Are! We understand the frustrations out there in the medical system. It’s hard to get more than 15 minutes with a doctor, or even find a way to get the specialized care you need. Which is why our very first step, before we begin any form of treatment is to get to know you! Because every single person who suffers from back pain is different. We all have different body types, past injuries, and different levels of pain tolerance. At PEAK Physical Therapy & Sports Rehabilitation, we understand that every single person is unique, which is why our first step is to get a deep understanding of what is happening to you, and how you want to feel. So we can create a plan that focuses around YOU and your goals. At PEAK Physical Therapy & Sports Rehabilitation, we have created an environment that was designed for healing. Which starts with having an open, honest conversation about your health. We want to make sure you’ll feel comfortable working with us, and to make sure that we will be a good fit, before we begin any form of treatment. It can be worrying if you’ve had back pain for a long time, and an x-ray, or an MRI might show “degenerating discs” or “disc herniations”, “bulging disc” or “stenosis”. Many people think are unaware these problems CAN get better, even if your doctor has said you need either need surgery, or to just accept it. The body is very complex, and everything is truly ‘connected’. We often find there are other parts of your body that may not be working ‘correctly’, and makes your back ‘compensate’ for these problems. But for every single person, the ‘primary cause’ may be a bit different. Because it depends on you, your injury history, your body type, and many other factors. Our goal is to get to the bottom of the real cause of pain, eliminate it, so you can start your path to getting your mobility back, and return to the things you love the most. Which is why we perform a full-body movement assessment. What is a Movement Assessment? A deep analysis of every single one of your movements, head to toe. This allows us to see very clearly what is different about YOU, and to SHOW you how everything is connected. Our movement assessment will capture all of these potential causes, determine the “primary cause”, give you clarity, and peace of mind to know that this problem of yours CAN be fixed. These movement assessments are unique to: You; Your history; Your Injury; Your Pain! People are usually told to ‘stretch’, or do some ‘neck exercises’, or even lay on ‘traction machines’ for their neck pain. But the problem is, it is impossible to do safe, effective exercise when you are in pain! And in some cases, doing the WRONG stretches or exercises can make the pain worse. Which is why, BEFORE you start to move, or exercise it is important to alleviate the PAIN, especially with movement. We accomplish this through “Hands-On Therapy” or in Physical Therapy jargon – Manual Therapy. These treatments work by creating removing the “restrictions” from areas that are chronically injured. It will increase blood flow and circulation into these areas…which will improve the flow of oxygen and promote a much healthier environment for your tissues to heal. Our clients are usually SHOCKED to see how quickly their mobility returns just after a few short treatment sessions. While we do have the ability to perform these types of “cracking” techniques, our ‘manual therapy’ techniques are much more targeted to treat the ‘soft tissues’ which will take pressure OFF painful joints, instead of directly ‘adjusting’ an area. We have developed our manual treatment methods from decades of training and clinical practice as Physical Therapists. In order to give you the quickest, most effective, and safest way to restore your motion before you start to exercise. Most people make the critical mistake of believing that once the pain has gone down, that your body has healed. Nothing further could be from the truth! Most people don’t realize when back pain happens the connection from your body to your brain is also injured. When people suffer from back pain for a long time, the brain learns to cope with it by trying to ‘compensate’. Because the brain is trying to protect your body from doing movements it might consider harmful! Unfortunately, most ‘exercise protocols’ you may see on YouTube, in magazines, or handed out by medical practitioners or even in physical therapy, only focus on building ‘strength’, which does nothing to restore these very important brain-body connections. We provide highly personalized, individualized, in-depth training of your movements in a safe, but also challenging (but rewarding) way. We do this by using advanced neuroscience and exercise physiology, and give you absolute laser focused attention into every single movement that you perform. But just feels stuck about what you should be doing. And you can expect to see amazing transformations. Call or email us, we will have an honest conversation about your health and decide if we will be a good fit to work with other. If you feel lost from headaches and/or neck pain, come see if you have truly found what You have been looking for – Answers and Resolution to Your Headaches and/or Neck Pain. Going into physical therapy I had an expectation of endless days of Theraband and very non-invasive stretching. What I got was quite different. PEAK Physical Therapy was very different than my previous experiences for the same ankle ailment that I have had previous treatment on. The most impressive aspect was the constant one on one attention from someone who was extremely qualified for the job and fully embraced the idea of avoiding a static routine that had no variation over 2 months. Sasha’s constant evaluations and updates to treatment are fully responsible for my ankles feeling stronger than they have in years. I also appreciated the face that both legs were strengthened, no just the ankle that was injured. Sahsa’s holistic approach to therapy is somewhat unique but something that I think is extremely effective. He understands that you can’t isolate one area of the body, everything works together and therefore everything gets rehabilitated. Good luck and continued success, thanks for everything! My experience with PEAK Physical Therapy was excellent. I went there after spending a couple days in the hospital with 2 bulging discs and a lot of pain and after a couple months of PT, I am basically symptom free and my back feels better now than it has in a decade. Sasha and his staff are cordial and very professional, but they are also fun during the PT, so it makes the difficulty of exercising and the time pass quickly and is basically enjoyable. I’d highly recommend PEAK Physical Therapy. I came to work on a show at the Virginia Shakespeare Festival in June of 2015 and my body quickly began to fall apart. Lower back, hip, tightness everywhere, you name it. I was in a new city in a lot of pain with an enormous job ahead of me and my regular PT team was back home in New York. It was all quite unsettling. I found a few physical therapy clinics online but PEAK Physical Therapy Physical Therapy stood out as the best and I was right. My initial treatment with Sasha relieved a lot of my pain and I returned twice a week for maintenance throughout my time in Williamsburg. Ended with a fantastic dry needling treatment. Truly masterful. Everyone took great care of me and my show opened and closed pain-free. I wasn’t expecting PEAK Physical Therapy Physical Therapy to become a home away from home but it did and that was a most welcomed bonus. I was impressed with the overall competence of the staff and the manner that they treated all others and me while I was receiving physical therapy. I was a physical therapy patient at another facility in Williamsburg for several weeks and can tell you without reservation that there is no comparison in the level of service that I received at PEAK Physical Therapy. I don’t know of anything that could be done to improve the experience I had while there. Thank you for taking good care of me while undergoing physical therapy. My experience with PEAK Physical Therapy was beyond my best expectations! I had a very difficult go of it, having had a Total Hip Replacement in followed by 5 dislocations. I was sent to PEAK Physical Therapy after the dislocations began, and was forced to start & stop therapy a couple of times, as the dislocations continued. I had Revision surgery 6 months later and started back at PEAK Physical Therapy 4 days later. I was a complicated case, yet the entire staff took me on, with gusto! I remained in physical therapy for over 3 months and I cannot thank Sasha enough for all he did for me. He knew exactly what I needed and when I needed it. Not only did he rehabilitate my hip, he rehabilitated my confidence. In addition to using standard PT techniques, I benefited greatly from Dry Needling. He treated my hip and a long-standing ankle problem with Dry Needling & manipulation; and I have to say that my ankle has not felt this good in years! Since being discharged from PEAK Physical Therapy I have continues to exercise with water aerobics 3-4 times weekly, yoga 1-2 times weekly, strength training and at least an hour of elliptical and cycling per week. There have been a few people in my life who have made lasting impressions and given me life-long skills. Sasha Digges is one of these people! My sincere thanks to Sasha and his entire staff for their expertise, warm & friendly demeanor, and their part in allowing me to continue to LIVE! My one other experience with physical therapy was awful. I hated going and dropped out before my sessions ended. From the very beginning with PEAK Physical Therapy, it was totally different and professional. Sasha gave me a thorough evaluation before I started Physical Therapy. I did not have that before. My therapist John was excellent. I got one on one treatment. Before any exercise, John made sure my body was perfectly aligned for what I needed to do. The intensity of the exercises was increased at a level that I could handle. Midway, I was re-evaluated again. This did not happen in my previous setting. There was also a final evaluation. I have told my Doctors and my friends about PEAK Physical Therapy. I would not hesitate to return if a future need arises. PEAK Physical Therapy is the right place for treatment and to get better. My experience with PEAK Physical Therapy was exceptional. As a lifelong athlete I’ve had occasion over the last 25+ years to deal with at least four other Peninsula PT firms and PEAK was unquestionably the best. Sasha Digges was extremely knowledgeable in current techniques and beyond doubt had my best interests in mind as he developed and directed my program. Important to me was the fact that he consistently asked questions about my rehab, listened to my answers and adjusted the workouts accordingly. It was obvious that he was interested in serving my unique needs to the fullest extent and the results showed. Everyone I encountered on staff seemed very professional and quite cheerful- leaving me to actually enjoy my visits (I used to dread going to PT in the past). Kudos to a great team with whom I would strongly recommend to anyone in need of effective rehabilitation services. You folks rock! When you think about “working out” or having a personal trainer, recovering from surgery or regaining your strength after an illness, does the word family come to mind? I didn’t think about those things in the first 60 years of my life, but since 2005, CORE FITNESS/PEAKPhysical Therapy has become family to me. In May of 2005, I suffered a stroke. After 4 ½ months of intense PT and OT, I selected PEAK Physical Therapy for my continued rehabilitation. Sasha Digges and his staff evaluated, designed and led me through the extended therapy I needed. Today I am 99.9% recovered. I thought at that point in time I was ready to move on, but in December of 2006 I had a full knee replacement and it was time to return to CORE FITNESS / PEAK Physical Therapy. They carefully designed a pre-surgery workout schedule for me as well as a post-surgery schedule. Sasha and the staff have me walking tall these days! We had focused, enjoyable sessions together to get to this day in time. And now, you say, this must be the end, but alas, it was not. In September of 2007, I had open heart surgery and today I find myself back at CORE FITNESS and working hard to recover from this latest challenge in my life. Hard work, excellent strategies, focused and friendly trainers, a well-equipped facility – – all are a part of CORE FITNESS and PEAK Physical Therapy. These people have become a part of my family and I foresee working with them for many months to come. In fact, I foresee continuing there with David after my rehabilitation is complete. Should you have any of these challenges or if you just want to be more physically fit, a phone call to CORE FITNESS/PEAK Physical Therapy will help you to be much healthier – – and it might be one of the most productive, enjoyable things you’ll ever do. My experience at PEAK has been uniformly positive. Sasha Digges is a knowledgeable therapist who combines appropriate pressure to make progress with appropriate care not to be overly aggressive. My post-surgical therapy has fully met my needs and exceeded my expectations and times of steady progress. The atmosphere from reception to treatment is welcoming, positive and reassuring. I am impressed by and grateful for the treatment I received. I was assigned to PEAK Physical Therapy by my surgeon after I tore my rotator cuff. They stood out from the beginning. I was evaluated by Sasha and was immediately impressed with his extensive knowledge of Physical Therapy and my shoulder. After my evaluation, I worked with Victor and Cindy and was comfortable enough to let out my smart-aleck personality while still giving my all and being pushed to my limit. The staff at PEAK Physical Therapy made me look forward to coming to Physical Therapy because of the care they showed and how much progress I gained from them. “Wild Bill” will forever be thankful for all the laughs and progress they helped me accomplish after my rotator cuff surgery. To say that I was very pleased with every aspect of PEAK Physical Therapy is an understatement! Everything and everyone was absolutely outstanding; the location, the facility and most of all everyone associated with PEAK Physical Therapy. They are all very knowledgeable – they could answer every question with confidence and were very caring, enthusiastic, and so helpful. It was a wonderful experience and not only do I feel so much better, I feel younger! I wish to express my most sincere thanks to Sasha Digges and John Stack for their expertise, knowledge, and care in solving my hip and leg problem. For two years I suffered with my left leg and hip…….numbness and shooting pains. An orthopedic surgeon diagnosed my problem as spinal stenosis and gave me shots in my hip plus prednisone and pain pills for much of the two years. These were very short term solutions to my pain as it always returned. A friend told me about Peake Physical Therapy and the success she had with dry needling. It didn’t sound very appealing to me but I was desperate to resume a pain free life. Sasha listened to my description of the pain and then designed my program. John did the physical therapy exercises and ended each session with a deep tissue massage for my hip and then moist heat. Sasha did three dry needling sessions for me. With each session the pain lessened in my hip and leg………..and then I was pain free. It is now one year later and I am still pain free………playing golf, going up and down stairs with no problem, and able to get in and out of a car with no difficulty. Was the dry needling painful? Honestly, yes. However, it solved my problem of knotted muscles and if, for some reason, I needed to have this procedure done again I would not hesitate to do so…….IT WORKS! Anyone can sustain some pain for a short period of time and Sasha was most caring and gentle while doing the dry needling. My sincere thanks goes to Sasha and John for solving my problem. Before I called PEAK Physical Therapy for an assessment, I was about 6 months into deep tissue massage for a painful and growing sciatica. My massage therapist recommended that I call PEAK. She said she did all she knew how to do for me. Two things she suggested which might help more: unique walking or running shoes, as well as physical therapy. My sciatica reached and all-time pain level concerning both scope and degree of pain. I learned from Cynthia, my therapist that sciatica did not start over night. Even trying chiropractic care for a period of 6 or 8 years up until 2016, didn’t stop the pain; just helped keep it bay. The cat and lion pose was one of the positions I learned in chiropractic care, which eases the pain for a few minutes. I thought that was how it was going forward. Then came Cynthia at PEAK. Since experiencing stretching and strengthening exercises specific to my pain, as well as occasional traction and heat therapy, I now move more comfortably in and out of my car. Most importantly for me, there are certain exercises I can do if the pain resurfaces. Fortunately, this is not often. Of all the things I liked best about visiting therapy twice a week, besides their encouragement being number one, is their sense of humor, which is by everyone. Ashley at the front desk, Rebekah my second therapist, and in particular Cynthia, each made me laugh enough that I think it’s now reduced my worry style, in addition to bringing the back sciatica pain down from a 10+ to a most manageable 3-. If you are reading this testimonial, you may be wondering, is therapy going to help? Stop wondering about it, and do it. Exercising as they instruct is vital. If you do the routines as instructed, you begin to feel better and get your pain under control. I am eternally grateful to Cynthia, Rebekah and Ashley. Sasha, I can’t express how much I enjoyed working with you personally. After spending 50 years as a college coach and athletic administrator there is no doubt in my mind that your knowledge, expertise, and passion for what you do was instrumental in helping me meet my goals and objectives. I had serious back and neck issues for some time as a result of twenty nine years of hard military service. For many years I managed this condition using Chiropractor on a regular basis supplemented by lots of ice and Motrin. Following week surgery and Post-OP guidance from my neurosurgeon I added massage and acupuncture and embarked on a aggressive fitness program. Ultimately I over-trained resulting in the recurrence of lower back pain and spasm. My wife had received treatment at PEAK Physical Therapy & Sports Rehabilitation and suggested give you a try to which my primary physician agreed. Immediately upon receiving treatment from PEAK Physical Therapy, I began experiencing improvement and the associated discomfort. The direct treatment and regular exercise program PEAK Physical Therapy provided has returned me to a great, active, quality of life, and eliminated any discomfort from my active lifestyle and travel. I was referred to PEAK Physical Therapy and to Sasha Digges by my podiatrist. I had been experiencing excruciating back/hip and ankle pain and had tried to resolve the problem by being treated by a chiropractor. The problem became much worse. In addition to the pain, I had begun to fall and feared the next one could be disastrous for me. After only one session with Sasha, my pain lessened. Since then, each session is designed to address my specific issues. All sessions are supervised by my therapist and all questions are heard. After 12 sessions, I am pain free in my back and hip and am experiencing minimal ankle nerve pain and only the occasional zinger in my lower appendage. I especially appreciate that Sasha continues to give me exercise that I can do at home to help address pain and build strength. My strength has noticeably increased and my outlook is hopeful! Ten years ago I came to PEAK Physical Therapy for an injury to my shoulder and am now on my third visit. My therapist, Sasha, taught me how to not injure myself and my shoulder and, if I did, how to seek help in a timely fashion. Accordingly, this current episode of physical therapy has resolved much more quickly because I recognized the signs and symptoms of an injury that they had taught me. So, PEAK Physical Therapy treats injuries extremely well and they also teach how to care for you body. That is my definition of professionalism and competence. Having experienced four other therapists through the years, PEAK Physical Therapy is by far the very best! They are skilled, knowledgeable, organized, attentive, respectful and caring. Cindy and Rebecka were extremely knowledgeable and attentive to my needs. They were well organized, caring and patient. Ashley is very knowledgeable of insurance guidelines, etc., very helpful, friendly and courteous. The PEAK Physical Therapy environment was positive and welcoming and they provided me with excellent home exercises and they are well-educated staff! I had serious back and neck issues for some time as a result of 29 years of hard military service. For many years, I managed this condition using chiropractic on a regular basis supplemented by lots of ice and Motrin. Following neck surgery, and post-op guidance from my neurosurgeon, I added massage therapy and acupuncture and embarked on an aggressive fitness program. Ultimately, I over trained resulting in a re-occurrence of lower back pain and spasms. My wife had received treatment from PEAK Physical Therapy, and suggested I give you a try to which my primary physician agreed. Immediately upon receiving treatment at PEAK Physical Therapy, I began experiencing improvement. The direct treatment and regular exercise program PEAK Physical Therapy provided, has returned me to a great, active, quality of life and eliminated any discomfort from my active lifestyle and travels. After nearly two months of severe mid thoracic back pain, spasm, and sleepless nights, an MRI confirmed my worst fears that I had a very large thoracic disc herniation. My skilled neurosurgeon at Riverside suggested I attempt physical therapy and recommended Sasha Digges. I was willing to give anything a try but was skeptical and thought I was just delaying the inevitable. I was certain I would require surgery. After a thorough initial assessment, Sasha determined that my disc herniation was likely secondary to a poor range of motion in my hips, which placed the stress of my golf swing on my thoracic spine. Although this was something we would need to correct going forward, first at hand was the need to break the cycle of back spasm. Sasha recommended Functional Dry Needling. I was again skeptical, but, after the brief fifteen-minute procedure, I felt my first relief from pain in months! The spasm was gone and we were ready to start working on the root cause of the problem. Over the course of the next month, working in an atmosphere that was clean, professional, friendly, and fun, Sasha and his team helped me develop an exercise routine that markedly improved the flexibility of my entire spine, hips, and legs. As a result, I am completely pain free and can swing a golf club faster than ever. I would highly recommend visiting Sasha Digges and his team at PEAK Physical Therapy if you are suffering from back pain and considering surgery. Although it may not alleviate everyone’s need for surgical treatment, you’ll at least know that you did all you could to alleviate the problem before going under the knife. The program provided by Sasha and PEAK Physical Therapy Physical Therapy are client-centered and highly effective. After I was sidelined from training for the 2008 Ironman Arizona triathlon, Sasha and his passion kept me progressing towards my goals and improved my efficiency through functional movement exercises. As a long course triathlete, I put in high volume training weeks in preparation for my competitions. Inevitably trigger points form in my muscles due to the stressful nature of such training. Even with consistent foam rolling and stretching, some of these trigger points led to referred pain. Functional Dry Needling instantly released those trigger points, allowing me to continue injury-free and work towards accomplishing my goals. Once healthy, the trainers at CORE FITNESS collaborated with me to provide a supplementary program to keep me consistent, strong, and mobile in my triathlon training. 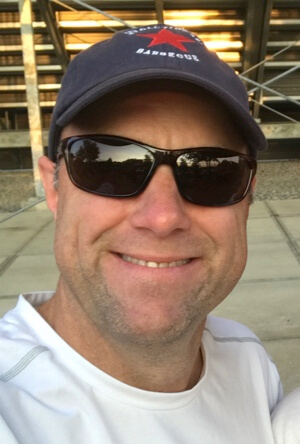 Their individual care and expertise led me to an amateur Ironman Triathlon victory, a top 10 ranking nationally, and transformed me into the 2011 USAT National Long Course Triathlon Champion. After checking with my doctor during a routine exam that my balance deficiency was not the result of any specific health issue we agreed to have another go at physical therapy. Checked in to PEAK Physical Therapy (aka PEAK) and examined by Sasha Digges. After the exam, a therapy program was devised to address my concern. Each session resulted in marked improvement. During the final session, the evaluation, I was asked how I felt. My response was, “98.3% satisfied.” Sasha said, “yes, but 100% cured.” That basically sums up my feeling about treatment at PEAK. Throughout the program, great attention was paid by the staff to enforce the details of the therapy program. I thought this was very important. The staff functioned like a team, always monitoring my activity. It is my belief that another feature inherent with the team at PEAK is the opportunity for “verbal calisthenics.” It sets the tone for zoning in on what’s required and why. It removed any feeling of boredom, helps concentration, and provides a good feeling when finished. That’s a testimonial to the atmosphere created by Sasha and adhered to by all team members. Everyone sets their own criteria for satisfaction. I wanted to achieve my goal and accepted their method of getting there. Satisfied/cured. That’s my story and I’m sticking to it. Before I came to PEAK Physical Therapy, I had been skeptical about the benefits of physical therapy. I used to view physical therapy as a way for doctors to hand off my care, instead of finding a solution to the underlying problem for my pain. I would be sent to a physical therapist, they would give me to their assistant, the assistant would give me exercises and after a few sessions the assistant would send me on my way. Then I had an injury to my neck and upper back that needed extra help to heal, not just exercise and ice. A friend told me about PEAK Physical Therapy and also about the dry needling process. I decided with some skepticism, to try physical therapy again. My experience at PEAK Physical Therapy was completely different than my previous physical therapy encounters. I learned about my injury and how the muscles that were connected to they injured muscles needed to be strengthened. Sasha, my physical therapist, had a personalized plan for my recovery and I worked with him for many sessions before I saw an assistant. The assistants were great! Sasha was always accessible for questions and concerns. The dry needling, although not pleasant, was a big part of my healing process. Sasha and his team definitely took the time to find the solution and the underlying problem for my pain. I have been back two more times for elbow pain and each time my experience has been a positive one. Now when I go the doctor, I ask for a prescription to PEAK Physical Therapy. After my physical therapy, I just wanted to give you a quick shout about the race. First, my lower leg NEVER became an issue during the 26+ hours. 2nd, I had a PR of 45 minutes! Turns out there’s something to going into a race healthy and well rested. I just had my first run yesterday of 4 miles, and all systems were a go, although a little rusty…not feeling injured. So thanks for your help. I’ll have a better idea of how my legs are doing as I pick things back up in the coming weeks….till then peace. A year ago we watched Samuel, our son and a competitive soccer player, struggle mightily with what Doctors were classifying a “knee injury.” MRI’s, X-rays, and multiple opinions were solicited to try and identify the issue(s) causing this somewhat debilitating pain. Sam was on a regimen of ice treatments and rest, and I stopped counting at “4” the different knee braces that were prescribed. Yet, each time Samuel tried to re-egaged – he suffered with major pain. Coaches, and parents who had watched him play for years were asking us, “what’s wrong.” Everyone, including Samuel, felt a great deal of frustration. The Doctors finally directed us to PEAK Physical Therapy & Sports Rehbilitation for a consultation and diagnosis with Sasha Digges. After a comprehensive review of Samuel’s stride, run, knee movement, posture, etc., Sasha identified the cause and prescribed a therapy regimen. After a few months of therapy and training at PEAK, Samuel was back on the soccer pitch, with renewed confidence, strength, and pain free! It’s been almost a year since we were first introduced to PEAK and I am happy to say our son continues to do well and is pain free. The maintenance program developed and prescribed as well as proper techniques of stretching and strengthening are still part of Samuel’s routine today. I wanted to thank Sasha and his complete staff for their professionalism and personal care —we feel blessed to have had our son restored under their care. Copyright © 2019 Peak Physical Therapy & Sports Rehabilitation, All Rights Reserved.